What Are They For? 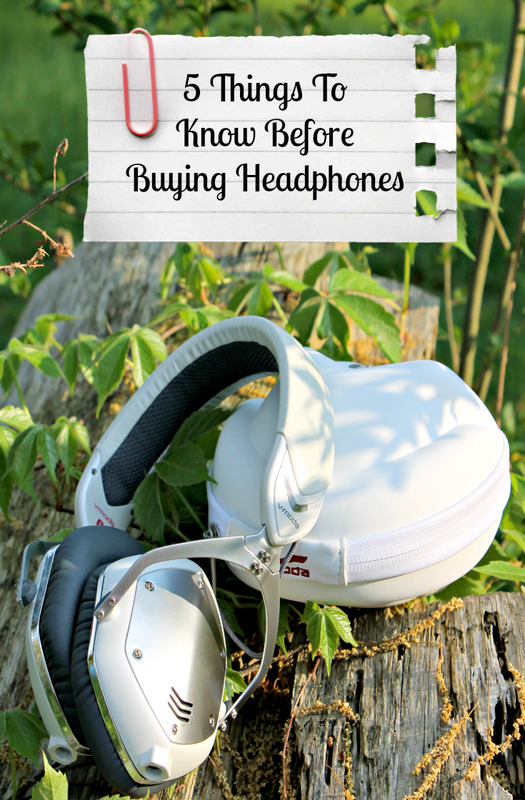 : Before you set out on your quest, the first of the things to consider when buying headphones is what you are going to use them for. You are going to have a different pair of headphones for just listening to your favorite tunes than you would if you were working on recording music. What Is Your Budget? : Like any major purchase, you need to set a budget and stick to it. Do research before you head out the door to determine the average cost for the headphones that will best fit your needs. Over The Head Or In The Ear? : Caitlin and I differ a lot in this area. I prefer ear buds to fit snugly in my ears while she prefers the over the head style headphones. This one is all about what is comfortable to you. Will They Last? : Let’s face it; there are cheap and there are expensive headphones out there. You do not want to skimp on quality for price or you are going to be replacing those cheap headphones when they break or the sound quality diminishes. At the same time, you do not want to over extend yourself for a pair of headphones you do not necessarily need. Do They Have Ports For Cables? : This may not be a must have for many people, but for Caitlin, it is a big one. I would not care if my headphones had access for cable plug ins, but Caitlin needs them for her music. This allows her to plug in a mic, audio cable or other related accessories. When it came time to find Caitlin a nice pair of headphones which met all the above criteria and more, the brand that stood out from the rest was V-MODA. 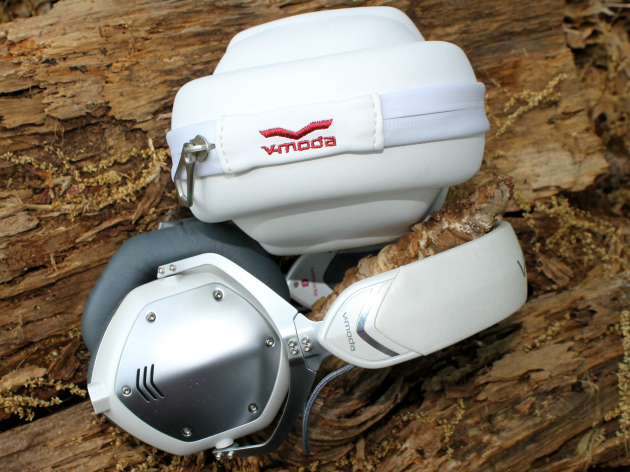 We found the products from V-MODA are far superior to virtually every other pair of headphones available for our needs. This brand has seamlessly blended fashion and function to bring you one of the most stellar products on the market. They are perfect for anyone who is looking for superior quality in product design, performance and durability. It is no surprise the founder of the company is also a music producer and DJ who knows what musicians want and need in a pair of headphones. We received the Crossfade M-100 headphones from V-MODA, which sell for $310 on the V-MODA website, Amazon and other retailers who carry fine audio equipment. 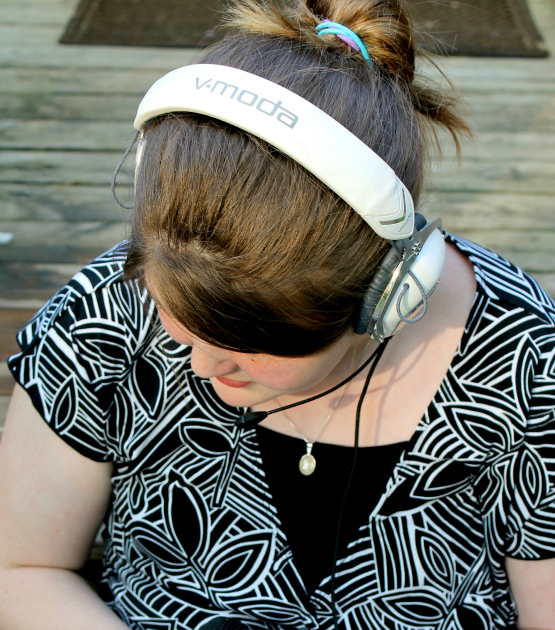 These headphones are seriously unlike anything I have every had the pleasure of using in my life! You will experience crystal clear sound, durability that can withstand even the best my 12 year old boy can offer, and a comfort like none other. We both have uber sensitive ears and when you wear the Crossfade headphones, it is like a dream, or maybe a cloud on your head! You may hardly feel them, but you sure do notice how amazing the sound is! They come with a very cool and very durable portable exoskeleton case, which can also take a licking! You can also have the metal shields, which are available in several colors, customized with your company name, logo, or just about anything else you can think of. They also come with detachable microphone and audio cables, which were must haves for Caitlin as well. If you are looking for a pair of headphones which will deliver on every point, the Crossfade LP headphones from V-MODA are for you! You can also find amplifiers, cases, faders and more. Be sure to follow V-MODA on Twitter, Instagram and YouTube. What things do you consider when buying headphones?